Come on grab your friends and get ready for a crossover of epic proportions! 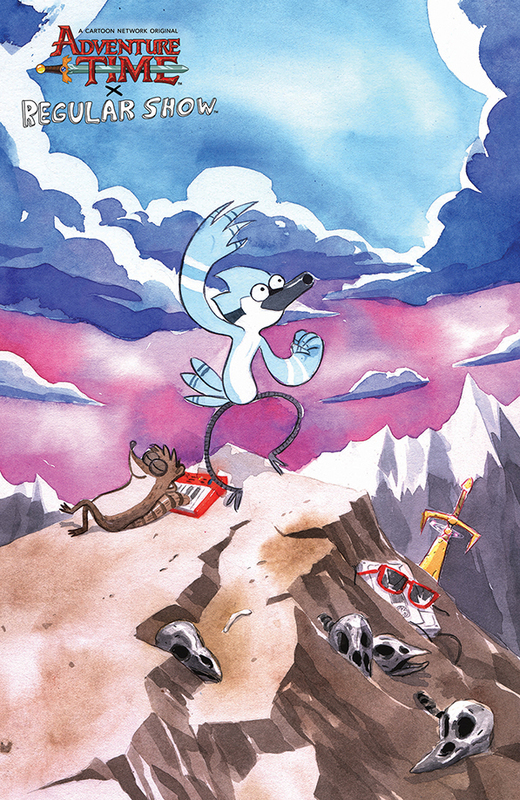 Adventure Time/Regular Show #1 is the first in a 6 issue mini series from KaBOOM!, an imprint of BOOM! Studios. Finn, Jake, Mordecai, and Rigby’s worlds are about to collide everyone’s four favorite bros will face their biggest adventure yet. 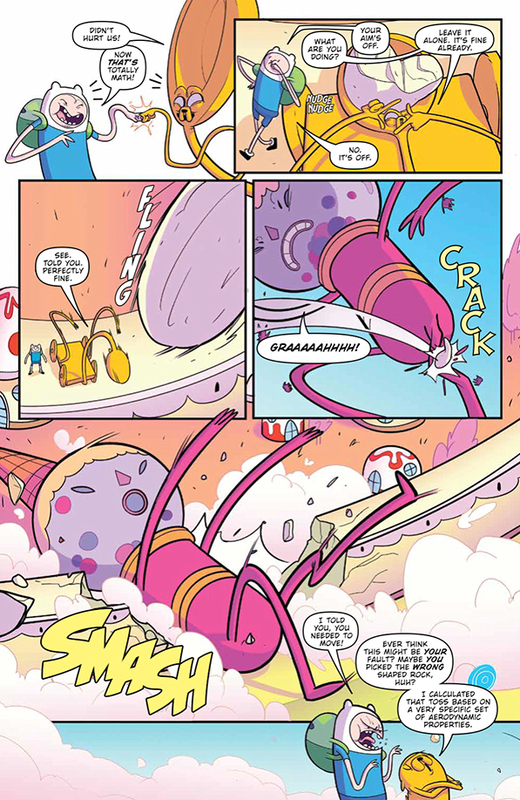 The issue kicks off with Finn and Jake doing what they do best – battling some nasty baddies, including the nastiest baddy of all – the Master of Division. This guy has the power to divide not just the monsters he uses as his army – but people and friendships too! 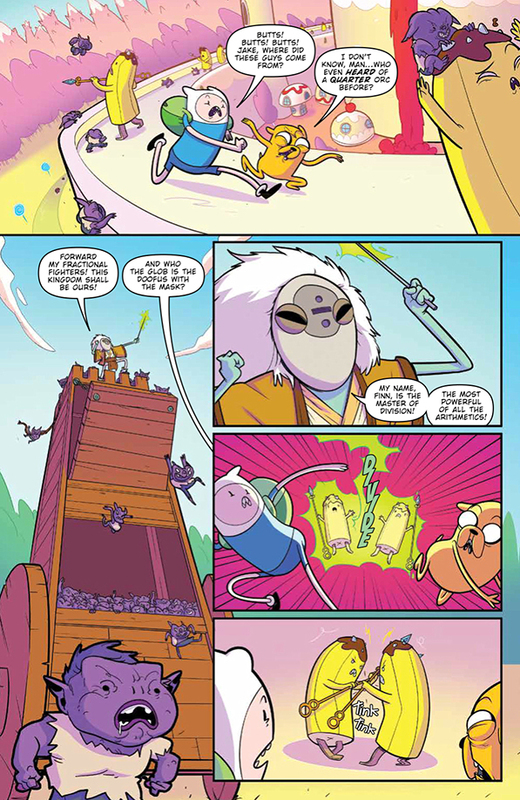 Adventure Time/Regular Show #1 shows us the timelines of what’s happening in Ooo and what’s happening at The Park by swapping back and forth between them, setting up the base of the story and introducing the characters for anyone who hasn’t met them before. 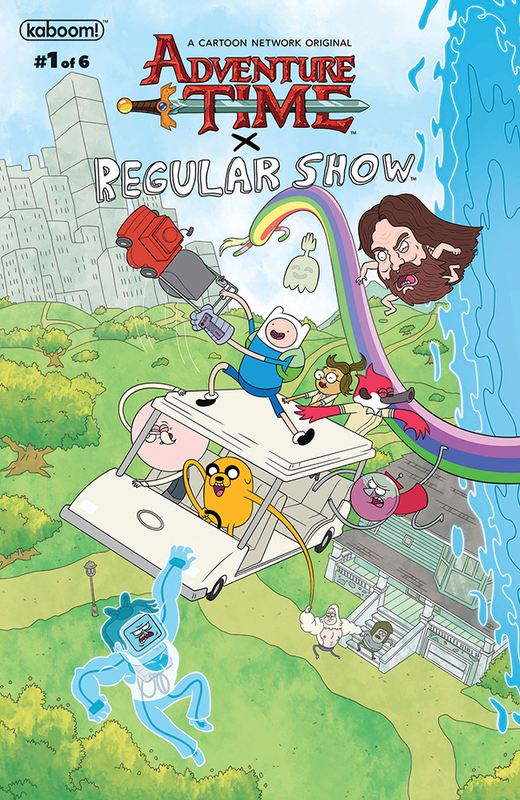 After much science-ing and arguing has gone down (and some evil dictator babies have thrown sufficient tantrums), Finn and Jake are pulled into the Regular Show universe where they meet Mordecai and Rigby for the very first time. It’s not quite the epic bro-down you’d expect, but we have a feeling these guys are going to have to team up whether they like it or not! We want to tell you more but we’re trying to keep this spoiler free. With such a thrilling adventure headed your way and some friendships potentially at stake, you’re definitely going to want to read this one for yourselves! Thankfully, our buds at BOOM! 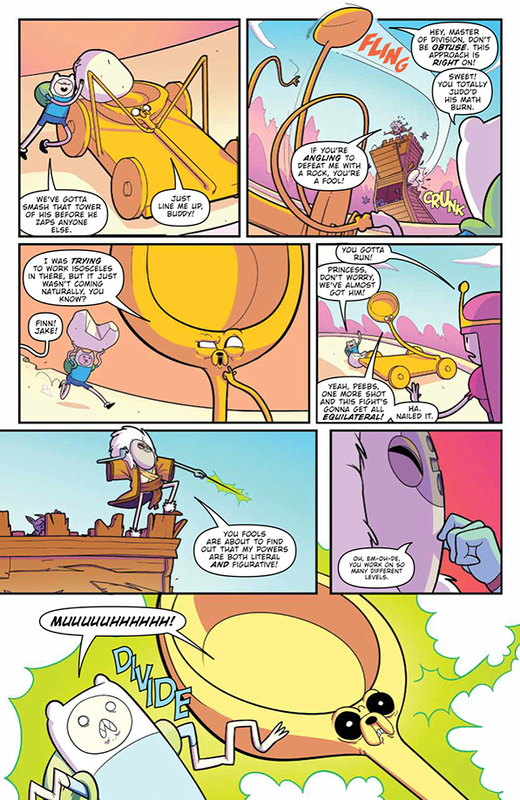 hooked us up with a preview pages for you guys to put your eyeballs all over. OOOOHHHH! As you can see, some serious stuff is going down and it’s going to take everyone’s help to get things back to normal. 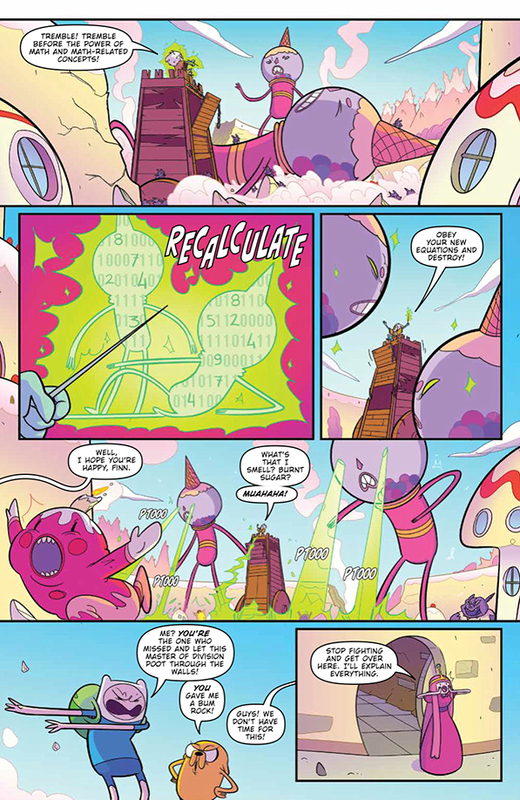 Creators Conor McCreery and Mattia Di Meo seem to have a deep love and understanding of these two Cartoon Network properties and it really shows as you page through the issue. So excited for what’s to come! 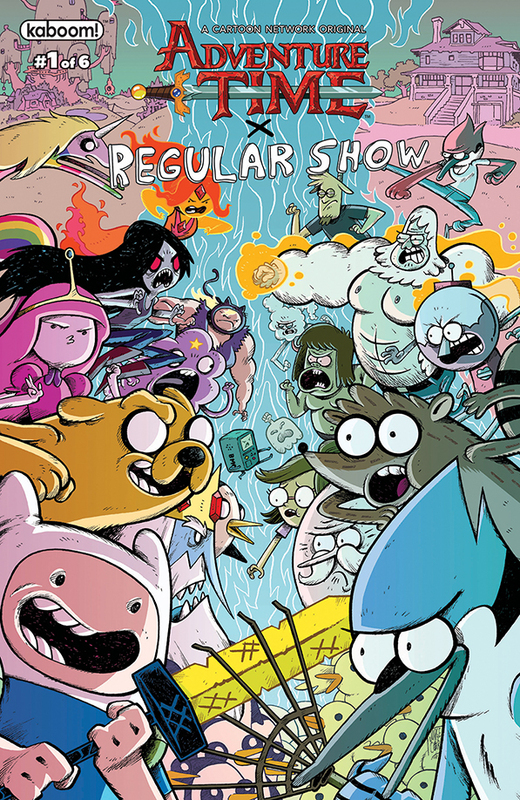 Adventure Time/Regular Show #1 is now available in comic shops everywhere and there’s some pretty rad variant covers to chase as well. 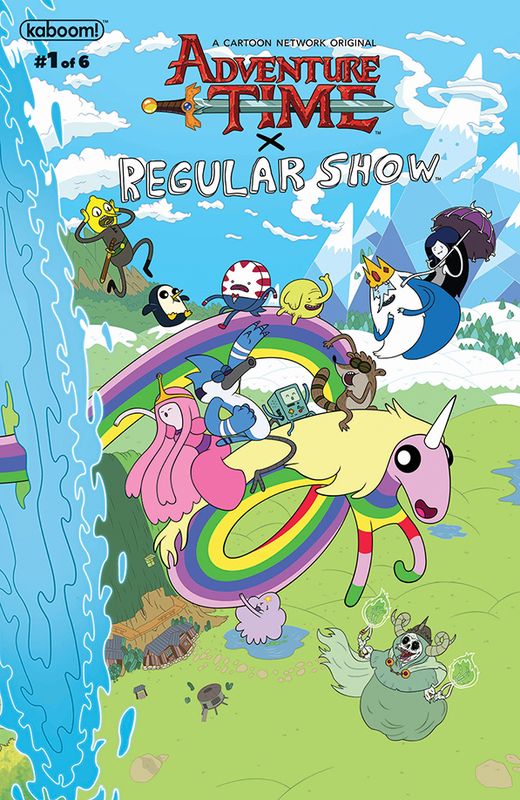 We promise it’ll be totally algebraic! It’s a crossover for the ages in this mash-up of two of our favorite Cartoon Network shows! 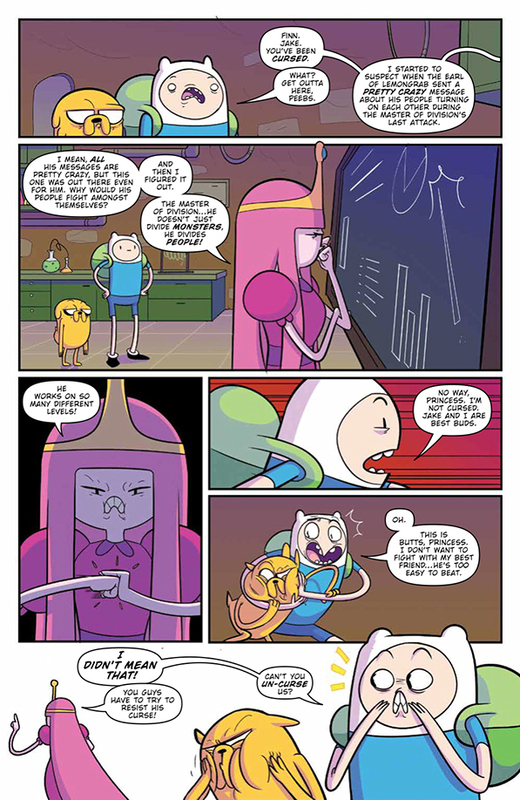 When a powerful new villain threatens to conquer Adventure Time’s Ooo, Princess Bubblegum sends Finn and Jake on a desperate quest to find The Power that can save the land—a power that Skips from Regular Show just happens to be hiding! 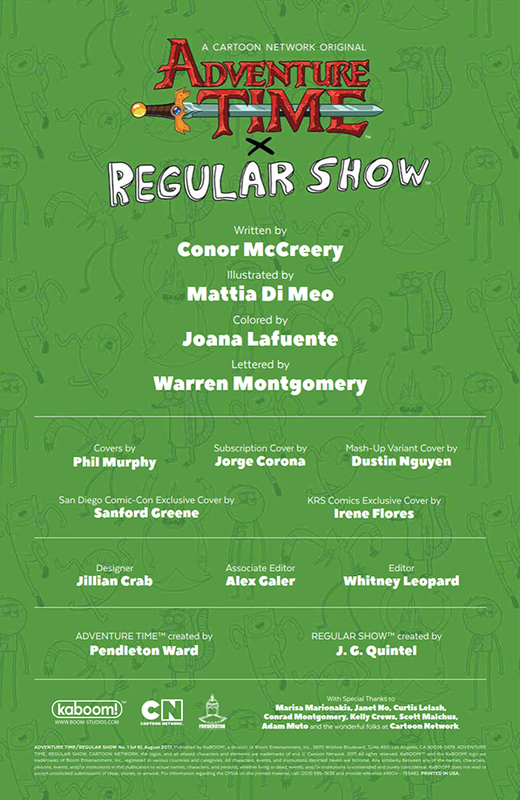 Finn and Jake’s arrival only exacerbates an existing tension between Mordecai and Rigby, and the trip back to Ooo threatens to tear two sets of bros apart…forever. While you wait for a ride to the comic shop, discover your Adventure Time Zodiac Twin!